I have watched many Al Pacino films. In some of them he is a brave drug dealer with almost no scruples, or evil itself, or, like in this film, a brave policeman in search of a serial killer. In almost all his characters he plays as a tough man, very prone to using violence and also very hard to shock or unflutter. 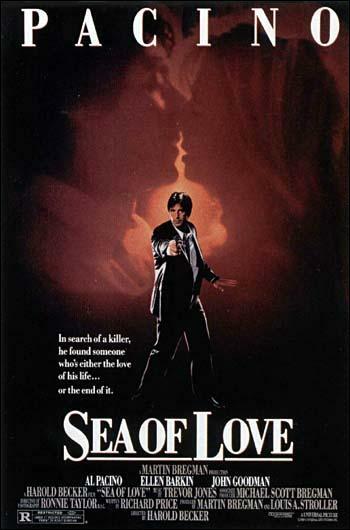 However, in this film, Detective Frank Keller (Pacino) finds a very disgusting surprise when he is pursuing a murderer. In the pigeon starring scene, Frank is a bit drunk heading back home (following the stereotype of many detectives, he enjoys drinking and smoking) when he senses something suspicious in the apartment block corridor. He seems to think that the serial killer may be hiding outside the window. When he looks, he is violently scared by a group of pigeons that probably were sleeping near the window and are suddenly disturbed by this drunk and violent man. It is interesting to see Pacino scared by these peaceful animals. Because of his role in this film, he was nominated for the best performance by an actor in the Golden Globes. 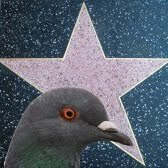 The picture below is a nice portrait of a pigeon besides a famous actor. Isn't it? Perhaps this pained expression is what got him nominated? Pigeon activity: A group of pigeons scared in the middle of the night by a guy with a gun. Symbolism: None. Pigeons are mere urban creatures trying to sleep. Relevance: None. They are used as way for creating tension in the scene. Training level: Medium. Pigeons are trained animals that are freed at the exact time that Al Pacino is looking out of the window. 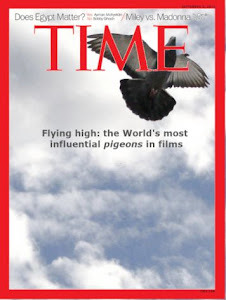 Such a complex scene, requires coordination between the actor, the film-making crew, the pigeon manager and the pigeons themselves. Remarkable. Although the movies is too old; however, this scene seems very interesting and has suspense in it. I would like to watch this movie soon for sure. thanks for sharing the review. You left out perhaps the greatest pigeon movie of all time — certainly of the past 60 years: Glenn Ford and Debbie Reynolds' "The Gazebo" (1959). It's brilliant, hands down one of the funniest movies I've ever seen, and Herman the Pigeon emerges as the hero of it all. If you've never seen it, stop whatever you're doing now and watch it.